We are getting married! Please save the date for: Month-Day-Year. More details to follow. Bride & Groom will be joined in marriage! We couldn't wait to share the news that we picked a Wedding date! Please save the date (mm-dd-yyyy) and help us celebrate. Details will follow in the invitation. We are both so excited to share the news of our upcoming nuptials! 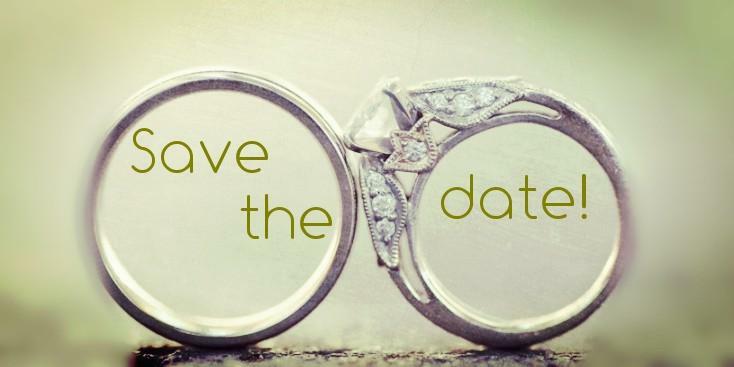 We will be getting married on ... Save the date so you'll be there! Calendars fill up fast, so please save this date (mm-dd-yyyy) to attend the wedding of (names). We hope you can come! We would love to have you join us in celebration of our wedding on: (Date). Please save the date so you can be part of our special day. We are getting married on mm-dd-yyyy. We look forward to seeing you then. A formal invitation will follow. Please save the date as we become Mr. and Mrs. ! We want to be sure you'll be there to witness this joyous occasion! We are going to the Chapel! As calendars fill quickly we ask that you save the date of ... for our wedding. Look for more information coming soon! X & Y will unite in a special marriage ceremony on... Please join us for our ceremony in love. Formal invitation to follow.